Includes the names: Jack London, Jack London, Jack London, Džek London, a Jack London, Jacques London, Дж. Лондон, pseud. Jack London, Џек Лондон, et. al. Jack London ... (see complete list), Джек Лондон, Лондон Джек, Джек Лондон, Джек, Лондон, ジャック ロンドン, ジャック・ロンドン, Jack London adapted for Audio, Джек Лондон, псевд. Robert L. Fish finished London's uncompleted novel The Assassination Bureau, Ltd. and is sometimes credited as the author of that work. Corey Snow, professional audiobook narrator and voice actor, will entertain and inspire us with selections from the wide, wonderful world of short fiction. Bring your lunch or your knitting, but most importantly, bring your imagination. Jack London , The Call of the Wild. Jack London's book The People of the Abyss was available from LibraryThing Early Reviewers. 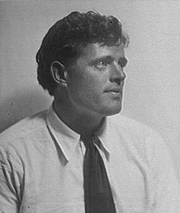 Jack London is currently considered a "single author." If one or more works are by a distinct, homonymous authors, go ahead and split the author. Jack London is composed of 20 names. You can examine and separate out names.